Looking for childcare during the Feb 20-23 and/or Easter Week April 3-6 breaks? Want your child to be involved in active activities? 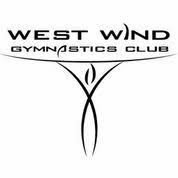 Send your 4-13 year old to West Wind Gymnastics Club for one or both weeks. $50 per day or $25 per half day (10% off if you book all spring break and all Easter week). AGF Insurance fees of $38 may apply. These camps qualify for funding for low income families through Jumpstart and the CIty of Lethbridge Recreation and Culture Fee Assistance Program - contact Lori at 403-360-1720 to make an appointment to apply. To register for the camps or for more information email [email protected] or call 403-320-1373.